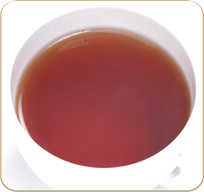 TEA BENEFIT Serves as a calming agent to soothe an upset stomach or to aid in digestion. It is also widely used to treat symptoms of the common cold. Peppermint is commonly used in cold and flu remedies. Studies have shown that it kills bacteria and viruses. It also has a calming and numbing effect. It dulls the pain of an aching body. The menthol in peppermint effectively thins mucus and breaks up phlegm. It provides relief from coughs and congestion. A phytonutrient in peppermint has shown to stop cancerous tumors from growing in animals. DESCRIPTION One of the most aromatic peppermint with the strongest minty flavor, we have ever come across. The lingering flavor will engulf your senses. The beautiful aroma of peppermint enhances memory and increases alertness in humans. Given its powerful ability to soothe and heal, think about incorporating peppermint herb into your diet and look for it as an ingredient in medicinal remedies. Take one heaped teaspoon per 200 ml of freshly boiled water. Use a tea pot or a carafe. Pour water onto the tea. Cover and brew for at least 5 minutes. Adjust brewing time with strength and taste desired. Rinse pot after wards with hot water only. Do not use soap. Please do not add milk or sugar.